As a working mom of four, I literally have no time in the day to shop. When my local grocery store started offering their grocery pickup service, it was like the heavens opened up. I know this sounds crazy, but you know the one thing I don’t like about it? I have to drag a huge boxes and packages from my car to inside my house while also trying to wrangle my four kids, purse, and the other grocery bags. 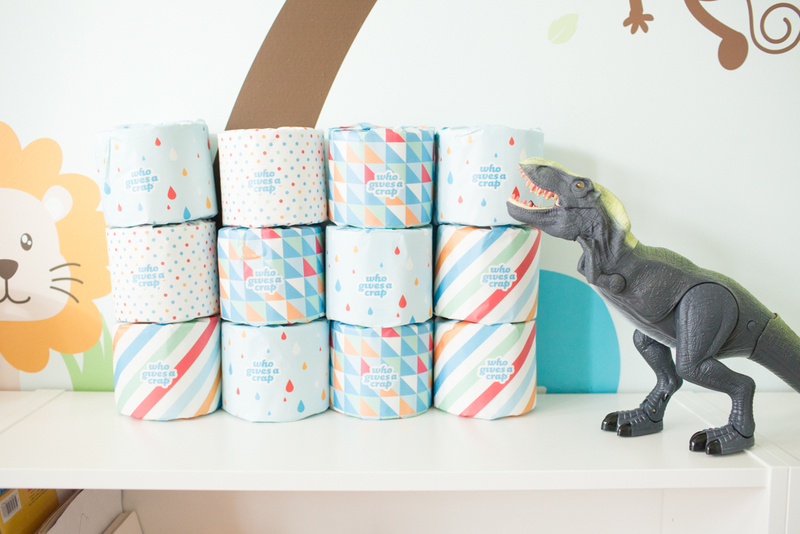 I’m constantly running out of diapers, paper towels and toilet paper. I love having subscription services for some of these big things because it they get delivered right to my door! 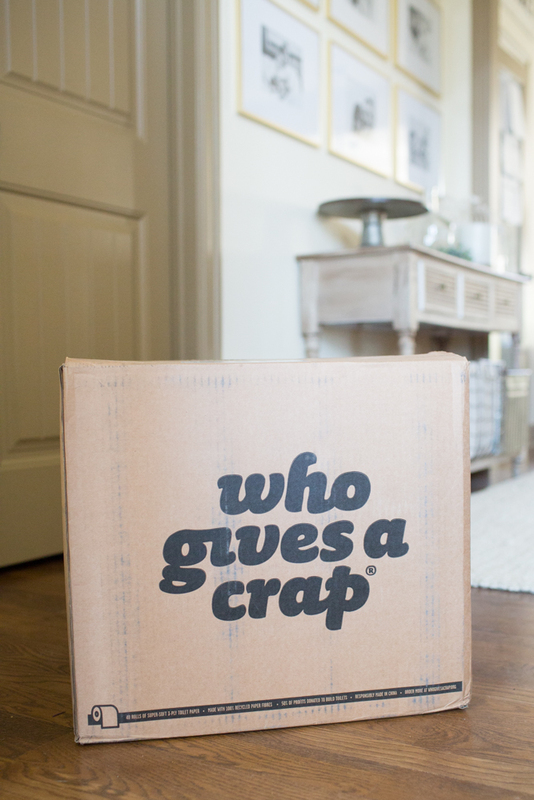 Recently, I started seeing these funny ads about a brand of toilet paper called Who Gives A Crap, and I was immediately intrigued. Their ads are as funny as the Squatty Potty and the Dollar Shave Club. It was enough to get my attention. What’s also great about this is that the toilet paper is shipped in recycle cardboard boxes and is wrapped in paper and not plastic. 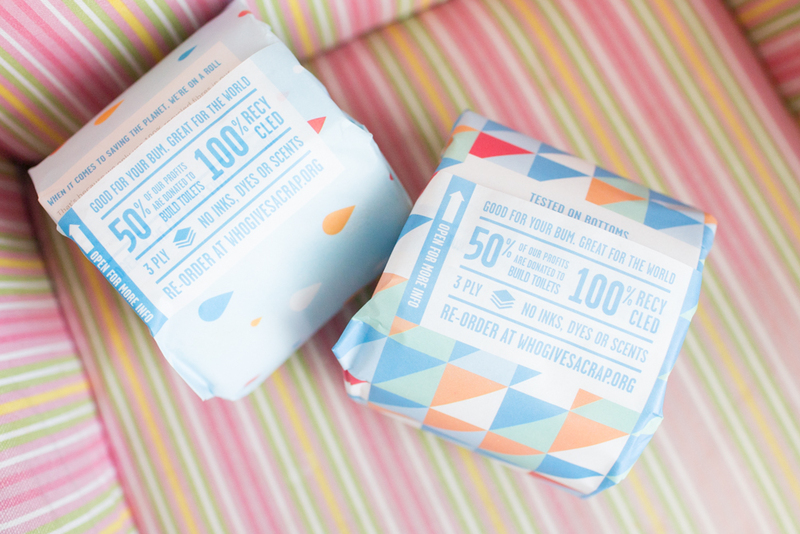 You can feel good about wiping your bum! Their toilet paper is not re-bleached. They don’t use any weird perfumes, ink or dyes in their toilet paper. They are elemental-chlorine free. The mission of the Australian owned company is to help give everyone in the world access to a toilet (2.3 billion people currently don’t have one). 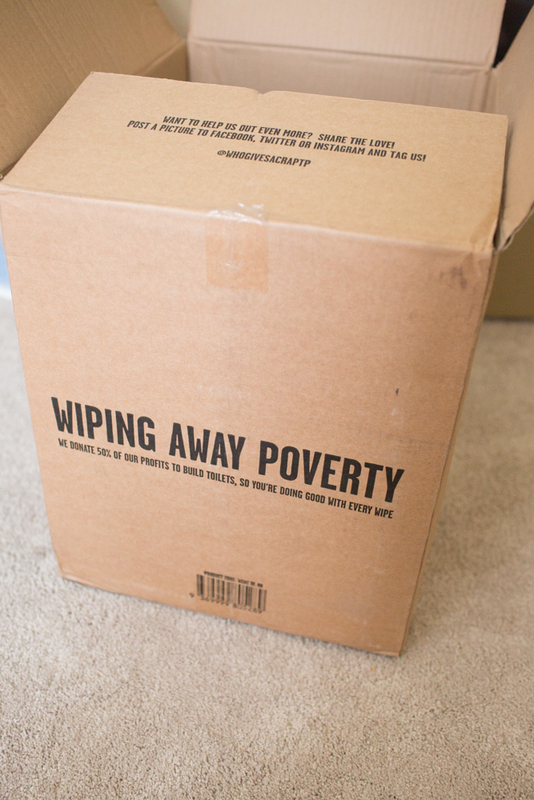 To help achieve this, Who Gives A Crap donates 50% of profits to its charity partners, so they can work to bring toilets to people who need them most. You can literally can get a box delivered straight to your door. No need to stress about room in the car for a few month’s supply. Have it delivered straight to your doorstep. 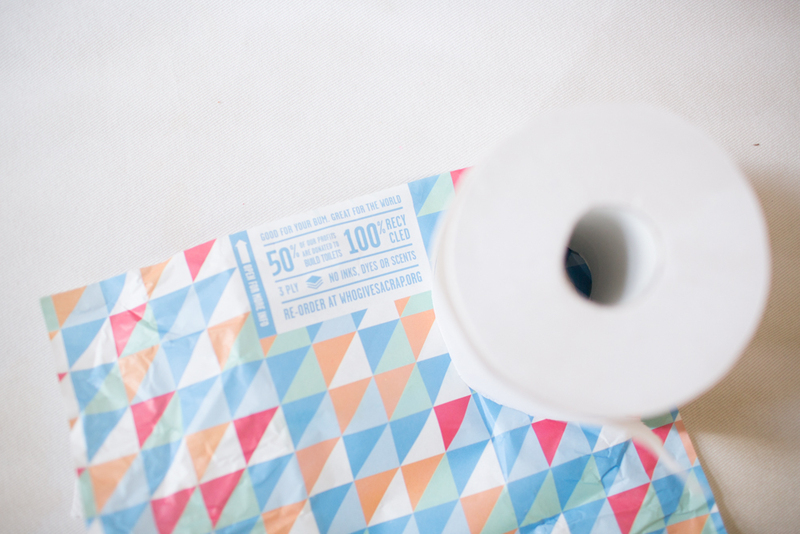 You can even save a little money when comparing 100 sheets to other brand name toilet paper. What’s not to love? Here are some of the other product offerings they have. If that doesn’t convince you to check out Who Gives A Crap, check out the box when mine arrived at the door! I was having a bad day, when I saw this box on my front door I laughed just at the name of the brand. I wondered what the neighbors would think when they saw the box. 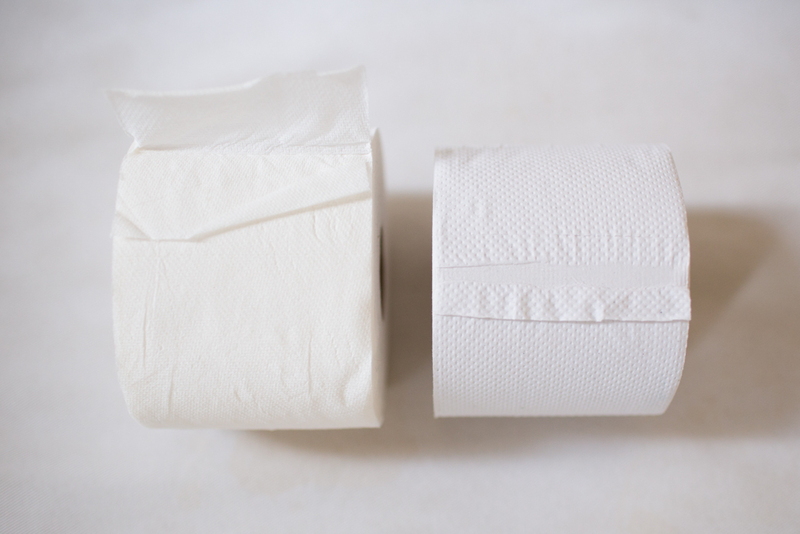 Here’s a comparison of my normal toilet paper on the left and Who Gives A Crap on the right. The sheets are a tad smaller. I honestly can’t tell the difference in texture between the two. 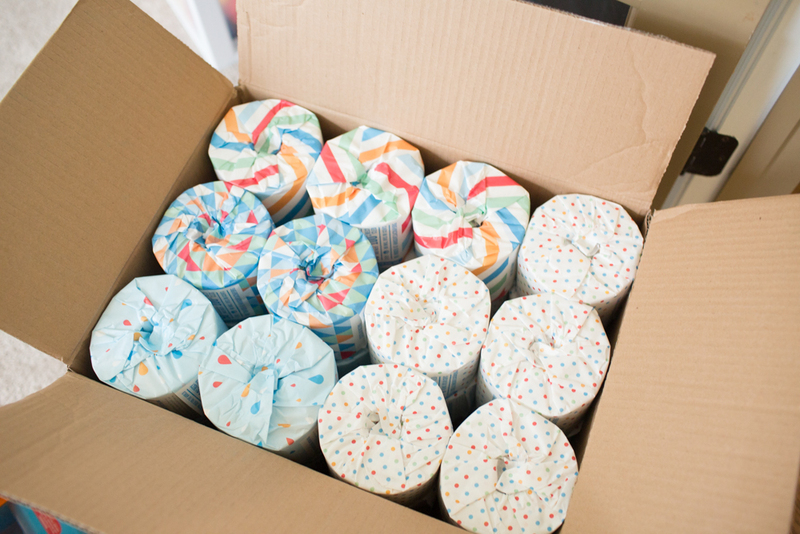 The recyclable wrapping paper is so adorable. My kids reuse the designs on them for fun craft projects. I’m sure you could find more upcycling ideas with it as well. 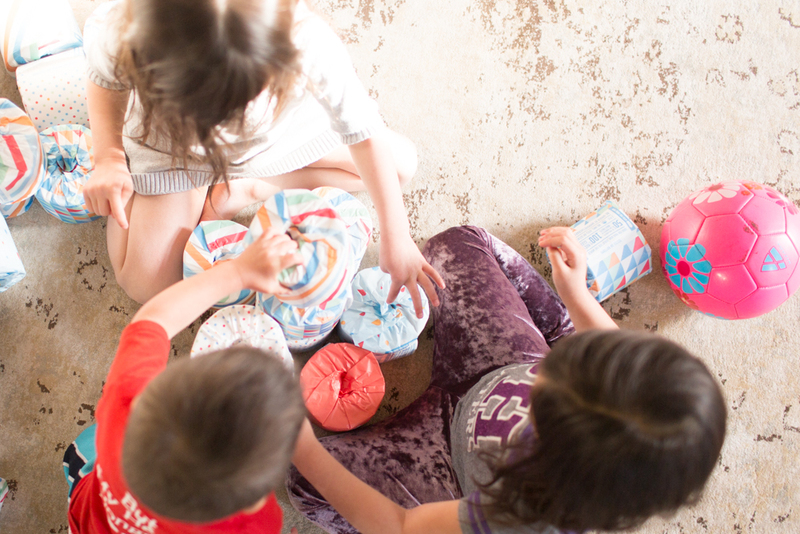 Apparently, the wrapping on Who Gives A Crap’s toilet paper was so exciting, my kids used the toilet paper to bowl with and create forts. 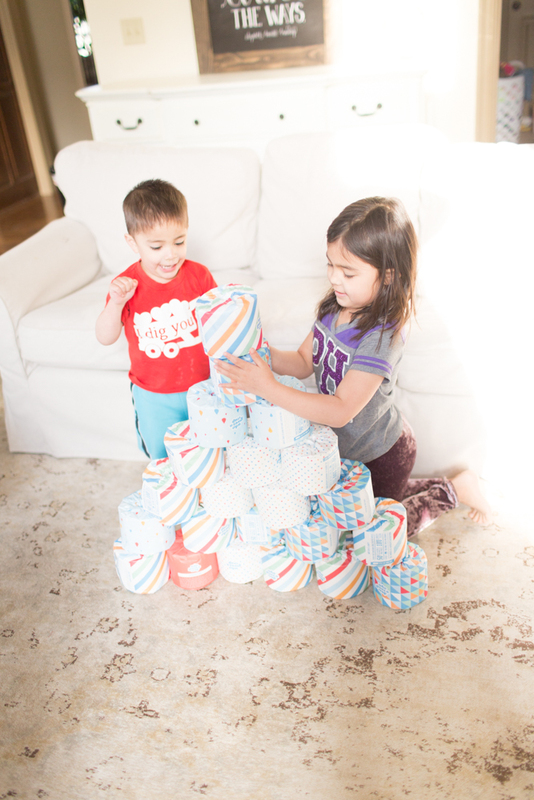 Who knew toilet paper could entertain kids for a few hours? Check out Who GIves A Crap for yourself, and receive $10 off your first subscription [HERE] with free shipping on most orders. This post was sponsored by Who Gives a Crap, as always all opinion and excitement are my own. For more information please see my disclosure page.